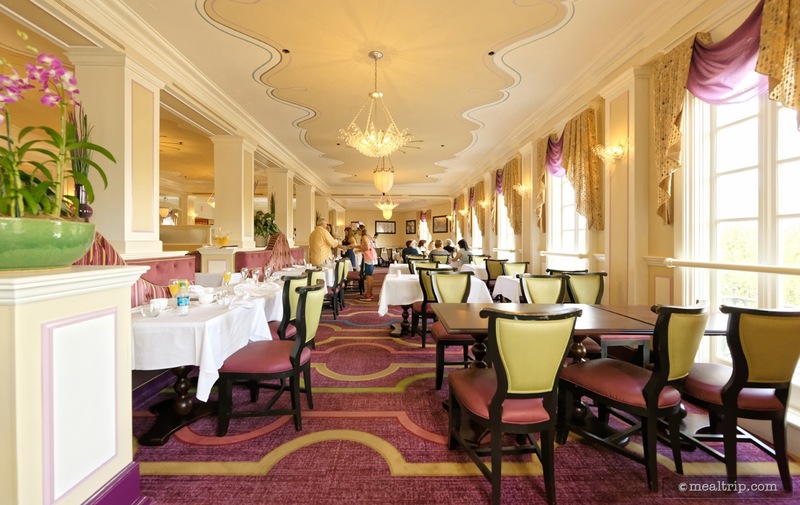 The Monsieur Paul listing is a Signature - Fine Dining dining location at Epcot featuring French cuisine. There are 4 photos in the Mealtrip photo gallery for this location and dining period. The Monsieur Paul listing currently has a score of out of 100. 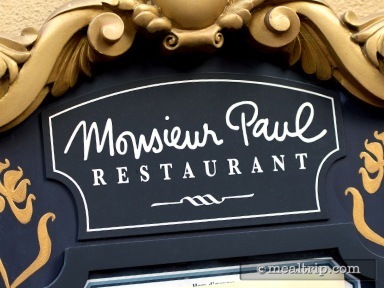 Click here to read all of the reviews for this location, or log in to Mealtrip.com to add your own review for Monsieur Paul. 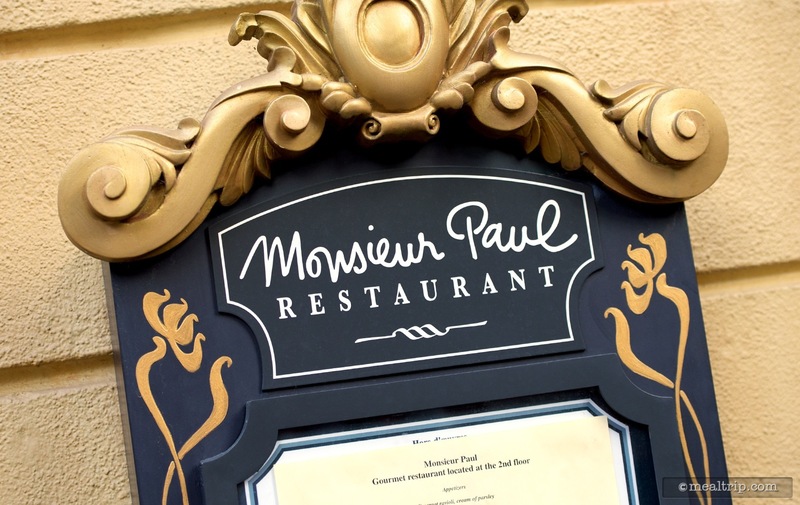 The menu board located at the entrance to Monsieur Paul. 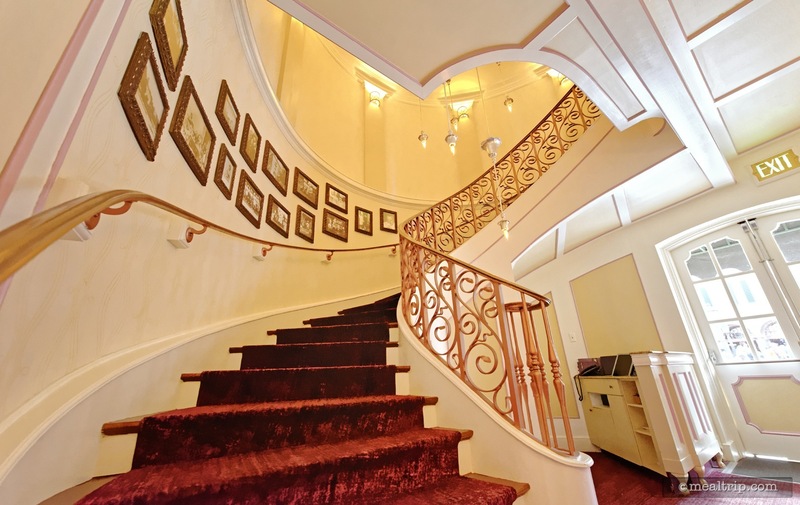 The staircase leading to Monsieur Paul, which is located on the second floor, above Chefs de France at Epcot. There's basically two main seating "strips" at Monsieur Paul, this row is what I like to call the non-window side. 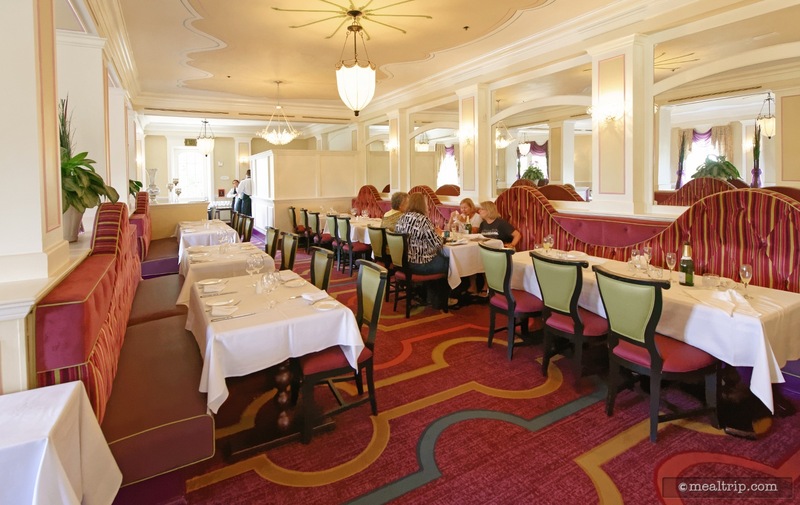 The seating area that everyone seems to want at Monsieur Paul's is the "window-side". These north-east facing tables get unique (slightly obstructed) view of Illuminations at the end of the evening.